Collaborating with festival circuit folk bass legend Captain Flatcap and serene vocalist Mazrah, the trio have sculpted an emotive soundscape which transforms from a beautiful morning walk with Maz into a high energy steppin’ party starter. Mazrah’s mellifluous voice plays around Flatcap’s catchy flute riff and off-beat guitar skank until the tune crescendos into a chunky rhythm and warpy psychedelic bass. Don Johnston has delevloped a technique that allows him perform complex modulated bass lines live, while retaining the playability of a traditional instrument. The unparalleled new setup is evident in the music video for ‘Rising’ which was shot in lush woodland at Sunrise Festival, using a similar off grid methodology to the tunes creation. 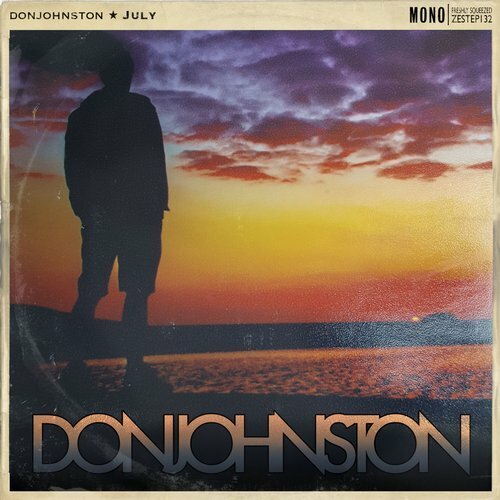 Recorded, mixed and mastered using solar power, Don Johnston’s ‘July’ EP started life as electrons fired at Earth from our nearest star. Don Johnston’s latest project combines live elements from collaborating artists along with a complex electronic setup that allows intricate modulating synth lines to be played real-time, bridging the gap between a “live” DJ set and a full live band.